Artists in the Classroom grants bring professional artists into schools for rich learning experiences. Artists, Teachers, Principals and PAC Representatives can apply for Artists in the Classroom (AIC) Grants to bring professional artists into the classrooms. Through AIC, artists and educators collaborate to expand the role of arts in education and activate learning for young people across BC. 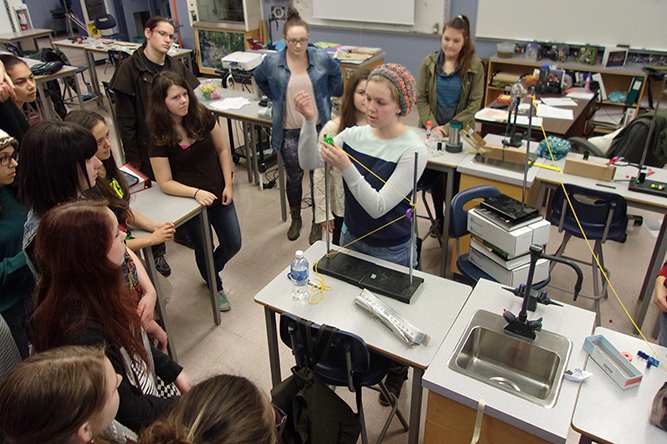 AIC Grants support projects in schools across BC that demonstrate artistic excellence, strong curricular connections, high levels of student engagement and an active partnership between educators and professional artists. Artists in the Classroom grants are disbursed by ArtStarts in Schools through a partnership agreement with BC Arts Council and funded by the Province of British Columbia. Increase opportunities for young people to engage in hands-on arts experiences with professional artists to facilitate deeper learning. Increase opportunities for professional artists to further develop their artistic excellence and practice. Increase opportunities for educators to integrate arts into their classrooms to inspire creativity and innovation. Grants of up to $3,500 for small-scale projects and grants of up to $10,000 for large-scale projects are available. AIC grants can fund up to 70% of total project costs and can only cover eligible expenses. The remaining 30% of costs, including ineligible expenses, must be covered by other sources secured by the applicant. New this year! Up to 10% of the total project budget can be applied towards Artist's administrative time. In the past, only Artist's time working in the classroom or preparing materials and supplies could be funded by this grant. Now time spent doing administrative work including applying for the grant, managing timelines and communication with the school, scheduling and planning, and other administrative tasks to make the project come to fruition can be covered by grant funds. Educators: Have an idea for a project but havent found an artist to work with yet? Search ArtStarts' Artists in the Classroom Directory. All BC-based artists are eligible to be funded through the Artists in the Classroom Grant, they do not have to be on the Directory. All professional artists, teachers, principals and PAC representatives in British Columbia are eligible to apply for this grant. As the AIC grant is disbursed to the school for management, check to see if the school in which the project will take place is eligible for the AIC Grant! Search the BC School Listing from the Ministry of Education or the First Nations School Directory. If your school is on either of those lists, you are eligible for funding! The next application deadline is May 31 2019. Apply Now! Read the Grant Guidelines to get all the essential details about the grant. Still have questions? Consult the Frequently Asked Questions below. Download the Grant Application from the link to the right side of this page under "Apply Now". You can either download a Word Document or create a copy of the Google Document verison of the form. Email the complete and electronically signed Grant Application as a Word Document or Google Document along with the Artist CVs to aic@artstarts.com. Be sure to name the email subject line as "SCHOOL NAME - PROJECT TITLE"
We have put together practical resources for teachers and artists in the classroom to help you deepen your understanding of arts in education and provide tips and tools that can be used when putting together your application and executing the project. Why Bring Artists into Your Classroom? What is the Artists in the Classroom (AIC) grant? AIC grants support projects in schools across BC that demonstrate artistic excellence, strong curricular connections, high levels of student engagement and an active partnership between an educator and a professional artist. Artists may approach schools with a potential project idea, which will then be developed with interested teachers. Alternately, the idea can come from the school, who will then work out the details with the artist. Every project is unique and they can differ greatly. Projects can take place in single or multiple classrooms, with single or combined grades, over the course of a week or even several months. What are the key elements of a successful AIC project? No two projects are alike, but there are a few important factors to keep in mind. Define the partnership between teacher and artist. Work together to create a timeline for the project. Maintain a relationship; the artist and educator should meet regularly to review the process and project goals. Educators should help the artist become accustomed to the school environment. Emphasize the creative process rather than the final product. Provide opportunities for young people to direct and impact the process. When planning a project, look for ways to link to the school's curriculum in a way that deepens learning and encourages critical thinking. Encourage students to think about how the project's overall themes relate to their everyday lives. Incorporate opportunities for students to reflect on the project both individually and with their peers (journals, debates, group discussion, role-playing opportunities). Who can submit an application? Artists, teachers, principals and PAC representatives can submit an application. It is expected that school representatives will work with the artist as a team to complete the submission. Applicants must ensure there is active support for the project at the school and that financial commitment is confirmed by a principal/district representative by having a digital or physical signature of the principal/district representative on the application. What is the role of the artist and what is the role of the educator? Individual roles within a project can vary and are decided by applicants and not by ArtStarts. Generally, the role of the artist is to share insights into the creative process and ideas involved in producing artwork. The role of the educator is to assist in making curricular connections for the students and to share their skills and insights with the artist. How can a school find an artist to work with? If you are an educator who is looking for an artist to help conceive and develop a project, a great place to start is ArtStarts' Artists in the Classroom Directory. Each artist listed is experienced at working in classrooms, and has been vetted to ensure the high quality of their work with young people. You can search for artists by name, discipline, language spoken or home base. It is not mandatory that the artist you choose to work with be listed in the Artists in the Classroom Directory. However, the artist must be a BC-based professional artist (see definition below). You might also wish to consult local art galleries or arts councils, who can put you in touch with professional artists working in your area. Consult the ArtsBC website for listings of arts organizations in your community. Further to the above definition, Indigenous Elders, Traditional Knowledge Keepers and other artists with Indigenous arts practices may fall under the definition of professional artists. If you have questions about whether the artist(s) meet the definition, please contact ArtStarts. Please ensure that your budget accounts for the professional calibre of their work. How do you know if an artist is a good fit? How do I qualify to work on an AIC funded project? You are a BC-based professional artists (see definition below) working in a variety of artistic disciplines: music, visual arts, film/video, performing arts, etc. To work in schools, you should be able to relate well to young people and have the ability to discuss and demonstrate their art with ease. Whenever possible, artists are encouraged to engage in projects at schools in their local communities. How do I find a school to work with? If you are an artist who has an idea for a project, you may wish to begin approaching schools to gauge their interest. Whenever possible, try to work with schools in your local community, as this will allow you to make your project particularly relevant to students' lives. Make an appointment with a teacher or the school principal, taking your Curriculum Vitae and examples of your work to your meeting. If possible, prepare some research beforehand on possible sources of funding for the project you have in mind. Schools' budgets are often limited, and they will appreciate that you have thought seriously about the logistics of your proposal. AIC grants can fund up to 70% of total project costs. The remaining 30% of costs must be covered by other sources including contributions from the school district, school, PAC, private sponsors and individual donations. For the 2018-19 school year, schools in the First Nations Schools Association can apply for up to 100% coverage of eligible expenses. Large-scale projects are projects that may unfold over an extended period of time, involve multiple artists or engage the entire school. A limited number of large-scale grants are awarded per intake. Large-scale grant recipients will be required to document their project and provide regular updates throughout the process of their project, specifics will be provided at the time of the Grant Agreement. What is an eligible expense? AIC grants can be applied towards the fees listed below. All other expenses are considered ineligible and cannot be paid for with AIC funds. Artists Fees must be a fair and equitable rate, consistent with professional standards. Visit the Canadian Artists Representation Copyright Collective (CARCC) website to see their recommendations for professional artist fees. Materials directly related to the proposed project and used up throughout the direction of the project. Rentals for specialized equipment or venues. Honoraria for Elders and Traditional Knowledge Keepers speaking on topics related to arts and culture. *Eligible school districts: SD27, SD28, SD49, SD50, SD52, SD54, SD57, SD59, SD60, SD81, SD82, SD84, SD85, SD87, SD91, SD92, FNSA. Some expenses that are not eligible for AIC funds are integral to our project, how can we pay for these? Can in-kind donations count towards a school's contribution? In-kind donations can make up a part or all of the 30% contribution provided the donation is quantifiable. An invoice stating the total value of donated goods or services may be required at the time of the project's final report. What is the cut-off date to apply for funding for the current school year? Applicants will be notified of their applications status within 12 weeks of submission. The applicant is responsible for communicating the funding status to all project collaborators involved. What can I do if my project does not receive funding? If your application is not successful, you will receive a letter outlining the Jury feedback and the reasons why your application was not approved. If you wish to discuss this further, please set up a phone meeting with our staff by emailing aic@artstarts.com. Can I reapply with the same project? Yes. You can reapply with a project that was unsuccessful once per school year. It is recommended that applicants carefully consider and reflect on the feedback given by Jury members regarding the original application and use this to inform their resubmission. Who is on the jury? How do they assess applications? The jury is made up of a diverse group of artists and educators from across BC. Grants are awarded based on merit and are assessed against four criteria: Artistic Quality, Student Engagement, Curricular Connections and Project Scope. See full details of the Assessment Rubric here. The person who submitted the application is no longer at the school; what do we do? ArtStarts needs to know who to communicate with regarding this project. Once you have determined your new project lead and contact person, please email our Grants Manager at aic@artstarts.com to update your project file. How do we receive the funds? Funding cheques will be made out to the school listed on the application, even when an artist or PAC representative is the applicant. Once the Grant Agreement form has been received, a cheque for the total funded amount will be mailed to the school. Please ensure the cheque payable field, the school address and the project contact person are correct when submitting a Grant Agreement. What type of project documentation is required? Once the project has been completed all successful applicants are required to submit a final report and at least one image. The report outlines the project as it occurred and gives a detailed budget. Large-scale grant recipients are required to submit regular updates and documentation throughout the process of their project. What role does ArtStarts play in the relationship between educators and artists? ArtStarts is the funder and does not have a role in managing relationships between artists and educators. All specifics of a project regarding time, budget, materials, events coordination, etc should be discussed and agreed upon by the artist and educator as a team; ArtStarts does not need to be involved in this process. Some details of the project have changed, do we need to inform ArtStarts? Yes, if the changes have an effect on the overall scope or intention of the projects, it is important to notify ArtStarts. What happens if the project does not use all of the grant money awarded? It is important to develop a realistic and balanced budget so that grant money is fully utilized. If your project incurs costs less than originally anticipated, consider how the extra AIC funds may be used towards an extension of or an addition to the originally proposed project and notify ArtStarts of these changes or additions immediately. If this is not possible, all unused funds must be returned to ArtStarts with an explanation for the return. Schools should keep in mind that AIC funds cannot contribute more than 70% of total project costs, regardless of whether a project comes in under budget. Can a project be postponed? In some cases, an extension request may be submitted by the school to defer a project and use of AIC funds to the following term or year. Please note that this is not the usual practice and extension requests will be processed on a case by case basis. For more information, or to submit an extension request, contact our Grants Manager at aic@artstarts.com. If a project was successful can a school reapply with the same project in a following year? While there is no set limit on how many times a school can apply with the same project, AIC grants seek to fund projects that are highly relevant to students and demonstrate a level of artistic excellence, creativity and innovation. If you do choose to reapply with the same project your application will be assessed just as any other application and measured against the assessment criteria. What if I am not happy with the artist I worked with? If you are unhappy with the artist's performance on a recently completed project it is important to document the reasons why their work was unsatisfactory. Please communicate this information to both ArtStarts and the artist involved. Once we have received a formal letter detailing the circumstances this will be kept on file. If the artist is listed in ArtStarts' Artists in the Classroom Directory and they receive two separate complaints they will be removed from this listing. Watch this video highlighting a successful AIC project. Be inspired by creative projects successfully supported by Artists in the Classroom grants. Browse our list of funded projects—or search by artistic discipline, curriculum, region of BC, school name or school year. The ArtStarts Gallery is the only free, public gallery in Canada exclusively dedicated to young people’s art. 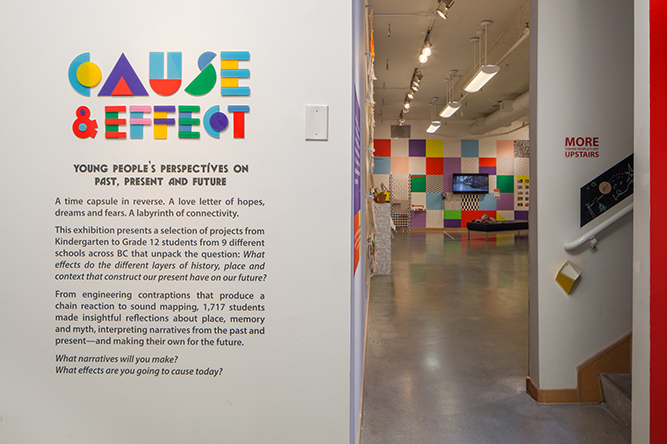 Exhibitions often showcase projects from Artists in the Classroom grants. Artists in the Classroom grants are funded by the Province of British Columbia and the BC Arts Council.